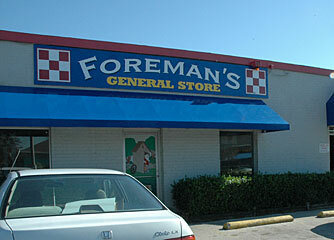 Welcome to Foreman's General Store. We have been serving the Dallas/Fort Worth area for over a quarter of a century. We offer a wide variety of products including outdoor power equipment, lawn and garden tools and supplies, organic fertilizers and pest control, grilling supplies, home brewing tools equipment and ingredients, and seed, feed and pet supplies. Feel free to give us a call, drop us an email or, if you're in the area, stop by.